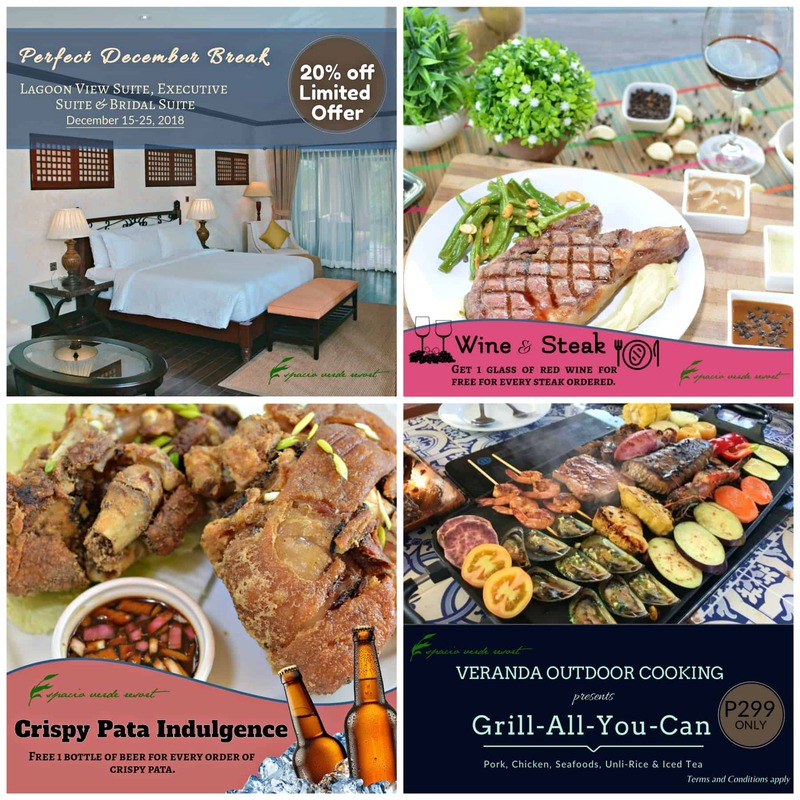 December 2018 – Holiday Deals! The yuletide season is finally here and Espacio Verde Resort have a special holiday treat for everybody for the whole month of December 2018. 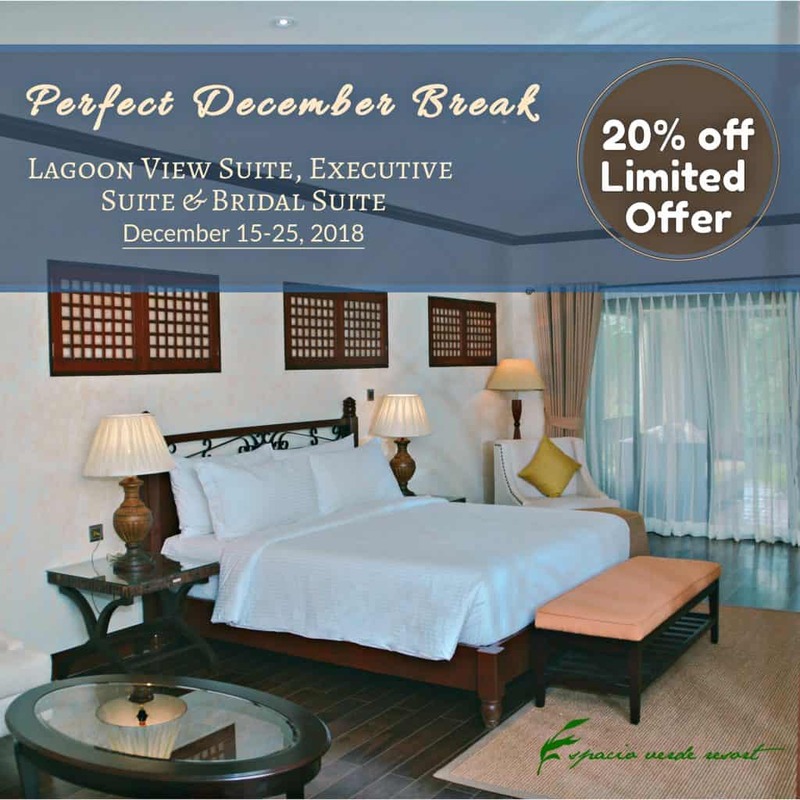 Book your stay on December 15-245, 2018 and get 20% off on our Lagoon View Suite, Executive Suite, and Bridal Suite. 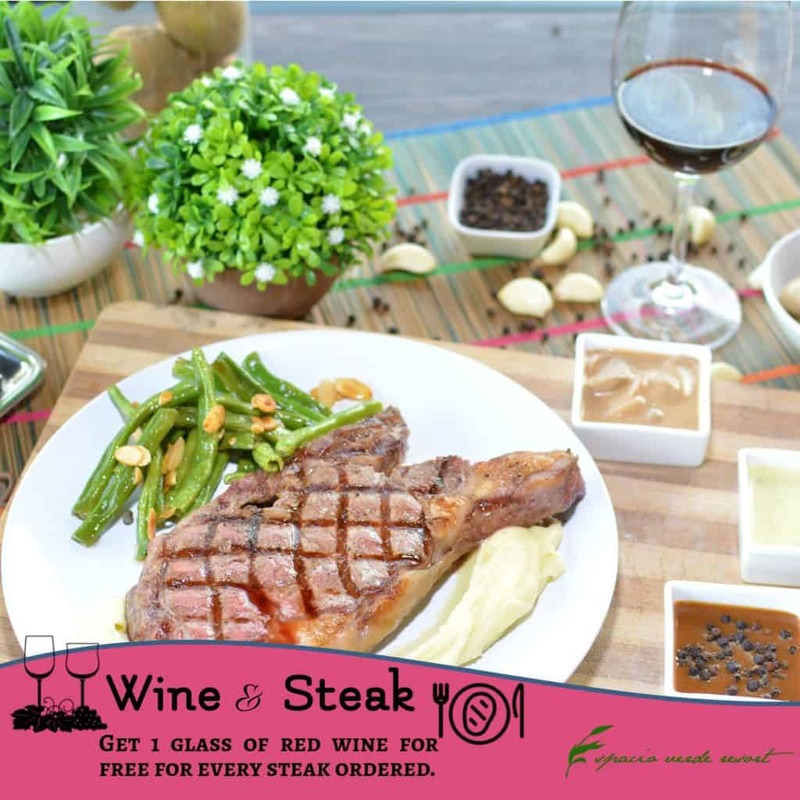 Get a free glass of red wine for every steak ordered. 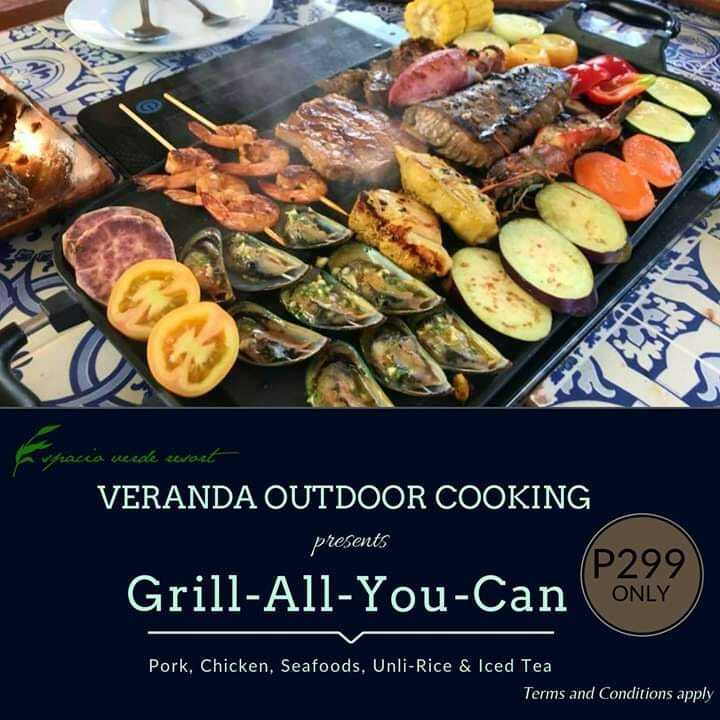 Grill-All-You-Can continues every Friday, Saturday and Sunday for P299.00/person. 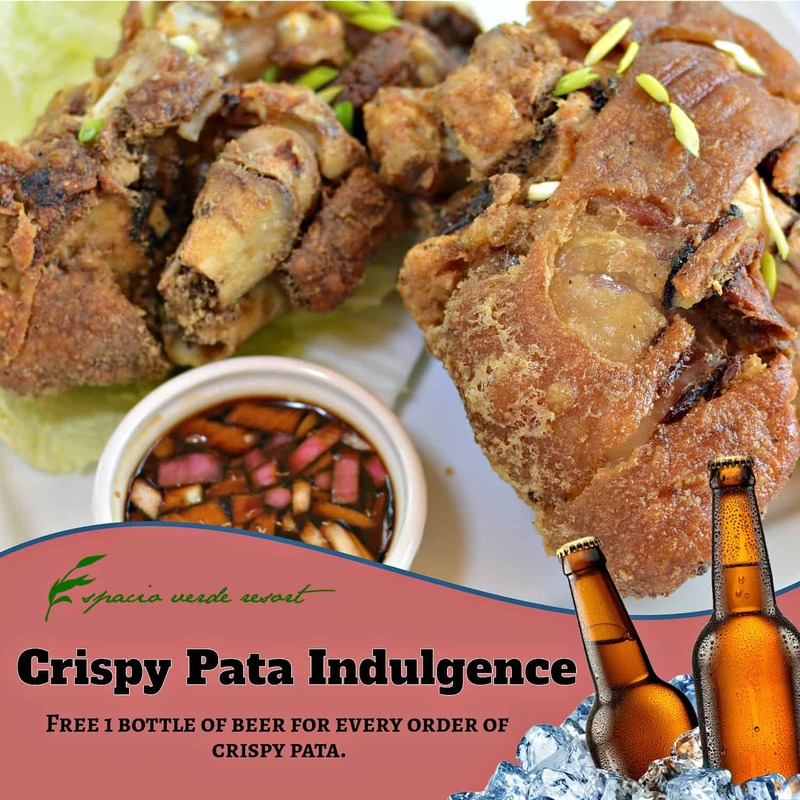 Get a free bottle of beer for every order of Crispy Pata. 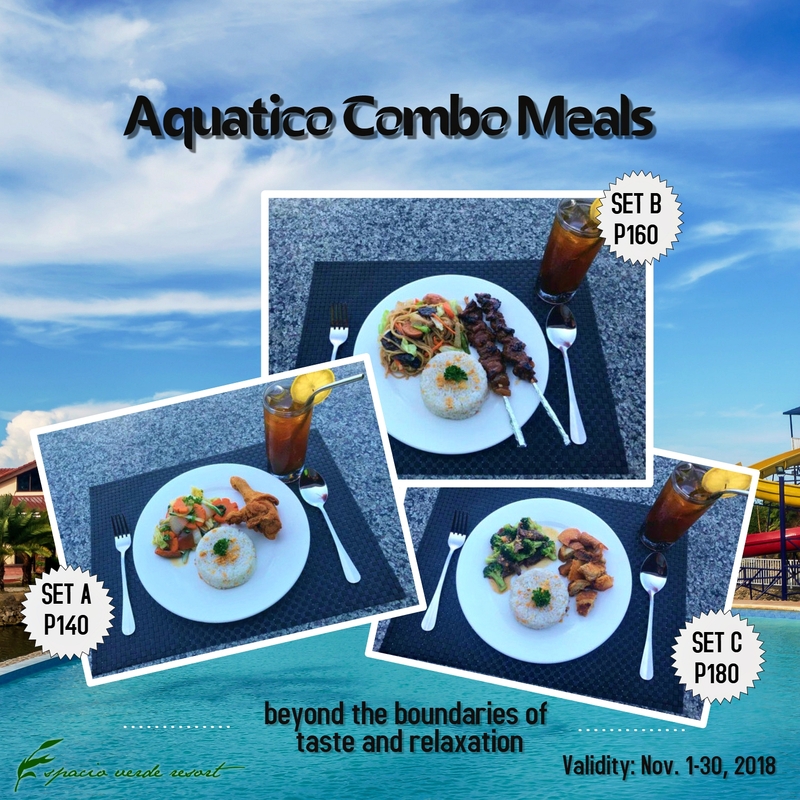 Aquatico’s combo meals that suits every Filipino taste continues for the whole month of December.